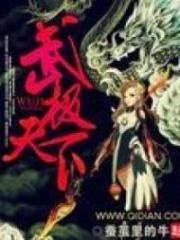 You’re reading novel The Demonic King Chases His Wife: The Rebellious Good-for-Nothing Miss Chapter 548 online at LightNovelFree.com. Please use the follow button to get notification about the latest chapter next time when you visit LightNovelFree.com. Use F11 button to read novel in full-screen(PC only). Drop by anytime you want to read free – fast – latest novel. It’s great if you could leave a comment, share your opinion about the new chapters, new novel with others on the internet. We’ll do our best to bring you the finest, latest novel everyday. Enjoy! Beichen Ying and the others smiled bitterly and shook their heads. Everybody thought that Su Luo was blindly and ignorantly grabbing away, however, n.o.body knew that at this moment , after borrowing the little divine dragon’s strength, her eyes were capable of seeing little red dots. Those that were marked by the little red dots were the high grade crystal stones, this was completely beyond doubt. She just needed to grab them without hesitating and throw them inside her chest. As a result, the biggest difference between her and w.a.n.g Zhongkui, was that w.a.n.g Zhongkui still needed to hold it in his hands to glance over them a few times, also, he might not necessarily accurately see them. He could only make a rough estimate, however, Su Luo completely did not need to be so complicated. She only needed to s.n.a.t.c.h s.n.a.t.c.h s.n.a.t.c.h, grab grab grab! Both hands continuously circled around to seize them, operating like running water. This kind of speed, who could possibly match it? While in this kind of emotional and excited mood, Su Luo was simply unaware of how strange her own behaviour was. At this moment, Su Luo wholeheartedly threw herself into the action of grabbing as many treasures as she could, her heart filled with a tremendous sense of satisfaction and excitement. Naturally, she did not notice other people’s a.s.sessment of her. She only knew that those marked by the little red dots were all grades above green-colored crystal stones. Hands that were quick would have, hand that were slow would not have, opportunity was fleeting. Very quickly, the chest beside Su Luo was filled up, and in front of her was also a huge pile of source stones that she had discarded. These pile of source stones weren’t marked by the little red dot, signifying that it didn’t have much value. However, there was still a pile in front of w.a.n.g Zhongkui, also, that pile was flickering with red light. One glance and she could see that there were a lot of high grade source stones, she definitely could not let him have them. Su Luo did not even think about it and immediately stood up. She started to search through the pile of source stones in front of w.a.n.g Zhongkui. w.a.n.g Zhongkui was practically half-angered to death by Su Luo’s bandit-like behavior. In front of you, there is still a big pile that you haven’t even searched through, why take mine? However, restricted by the rules, he did not dare to say more. He could only allow Su Luo’s pair of slender-as-jade hands to quickly search through the pile of source stones in front of him. Su Luo’s hand speed was extremely fast, so fast that w.a.n.g Zhongkui’s heart was somewhat alarmed. Couldn’t say for sure but if this loathsome girl’s luck was good, then all the high grade source stones would be taken away by her. Therefore, w.a.n.g Zhongkui also started to increase his speed. However, the problem was that his eyes did not have that kind of speed capable of distinguis.h.i.+ng if there was a crystal stone or not. As a result, when his hands became fast, his mind relaxed. It was easy for him to make mistakes, increasingly losing the accuracy to determine the source stones. Su Luo did not know that the psychological and mental pressure she created for w.a.n.g Zhongkui was this deep. Compared to w.a.n.g Zhongkui’s depression, Su Luo’s mood could simply be described as in high spirits. Just now, she had truly seized a lot of source stones of considerable value, her mood also continued to be very excited. However, excitement belonged to excitement, who could be so excited and joyful in s.n.a.t.c.hing food from others’ mouth? At this time, Su Luo simply did not give w.a.n.g Zhongkui a way out. The source stones that were marked by the red dots, without exception, she would not let them go. Eyes swift and hands fast, all of them were s.n.a.t.c.hed into her chest. Also, she was very crafty. w.a.n.g Zhongkui naturally did not have Su Luo’s little divine dragon’s a.s.sistance, he was also unable to see the little red marks. Therefore, whenever his hands almost touched a source stone that was marked by the red dot, Su Luo’s hands would always appear perfectly at the last moment when his hands were about to touch the source stone, quickly s.n.a.t.c.hing the source stone into her own hands. w.a.n.g Zhongkui merely thought that was Su Luo having a little girl’s temperament, although he was annoyed, yet, he did not think much of it. As a result, every time w.a.n.g Zhongkui’s hand reached towards a high grade source stone, it would immediately be s.n.a.t.c.hed away by Su Luo. And whenever he inspected a source stone that had not been marked by a red dot, Su Luo simply did not feel like paying any d.a.m.ned attention to him. Just like this, it continued. After Su Luo’s partic.i.p.ation, w.a.n.g Zhongkui was never actually able to grab a single high grade source stone. Naturally, he himself did not know and was still there, happily inspecting the stones. You're reading novel The Demonic King Chases His Wife: The Rebellious Good-for-Nothing Miss Chapter 548 online at LightNovelFree.com. You can use the follow function to bookmark your favorite novel ( Only for registered users ). If you find any errors ( broken links, can't load photos, etc.. ), Please let us know so we can fix it as soon as possible. And when you start a conversation or debate about a certain topic with other people, please do not offend them just because you don't like their opinions. You're reading The Demonic King Chases His Wife: The Rebellious Good-for-Nothing Miss Chapter 548. This novel has been translated by Updating. Author: Su Xiao Nuan,苏小暖 already has 12417 views. Current Time is Apr-21-2019 02:32:31 AM.